What causes the killer Dengue? Dengue fever is a mosquito-borne and carried disease caused by the dengue virus. Every year, hundreds of people suffer from the disease and many of them end up their lives fighting with the fever. As it has been always said, prevention is better than cure. And to prevent, you must know what causes it. Bansal Group of Hospitals, based on previous cases and data from other reliable sources, noted down some findings regarding the causes of dengue fever. The deadly dengue virus is mainly of four types. Once a patient is affected by one of the viruses, he/she is immune from that particular virus but is still prone to the other three. In fact, if a patient is affected by another dengue virus after recovering from one of the viruses, the risk of the condition being severe increases. It might lead to hemorrhagic fever. When a mosquito bites a person infected with dengue virus and again bites a healthy person, the virus is carried off to the healthy person as well. The risk is more for people living in tropical areas. The symptoms and signs normally take 10-15 days to show up after the mosquito bite(s). It is therefore recommended to households to keep a check on mosquito population in their surroundings. If one person is affected in a household or neighborhood, the infection can be carried by a bunch of mosquitoes. To keep the mosquitoes away is the only way to escape dengue fever. If any signs and symptoms of dengue fever show up, you must immediately take medical help to prevent it from getting severe. 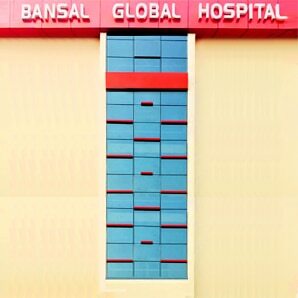 At Bansal Group of Hospitals, our expert medical team takes immediate steps to detect the virus and to mitigate the effect of the virus. For more information about signs and symptoms, check out our next blog. Pregnancy sure is a demanding state, not only psychologically but also physically. The body is adapting itself to nurture a baby within itself, so it’s important to ensure adequate nutrition is being supplied to the mother and to the developing fetus. To meet the extra requirements of the fetus, the mother needs extra food and nutrients. But that doesn’t mean one would gobble up everything that comes on the way, as is generally practiced in Indian societies. The below guide will help you prepare a much-balanced diet for you, making sure you are getting sufficient nutrients during various stages of your pregnancy. Normally, a non-pregnant, non-lactating woman requires 1900kcal each day as a part of a healthy diet. When pregnant, the requirement increases to +600kcal, i.e. 2500kcal each day. You can divide your food accordingly but make sure to follow the healthy rules by Bansal Global Hospital: Choose food from different food groups: You might like some things better than the other but make sure you include food from different food groups. In a day, you need to have: About 9 servings of cereals and millets. (Of 30-35gms each) 5 servings of fruits and vegetables. (100gm each) 5 portions of milk and milk products. (100gm each) 2 portions of pulses (30gm each) 1 portion of meat, egg, etc. (30gm) 5 portions of fats and sugars. (10gm each) Take extra care of hygiene: It is very important to take extra care of hygienic. Make sure the food is prepared under hygienic conditions in the kitchen and fruits and vegetables are washed properly before use as harmful bacteria like Listeria and Toxoplasmagondii present in them can contaminate the food. Make sure the food is thoroughly cooked: Pregnant women are exceedingly prone to salmonella infections. Therefore, food must be cooked properly before serving, especially, poultry, eggs, and meat. Balance your cravings: Even though it’s normal to have cravings during this period, don’t indulge yourself in having too much of junk or unhygienic food preparations. Spicy foods should also be avoided. If you are having cravings for inedible items like clay, soil, chalk, etc. you must consult your gynecologist immediately. Take proper supplements: Apart from the diet you take, it’s important to take up some supplements to cover up energy requirements. Normally Vitamin A supplements are given to pregnant women. De-warming supplements are also advised in some cases. It is advised to keep in constant touch with your gynecologist with regular checkups. Take supplements only on the medical recommendation of your gynecologist, as different bodies demand different medication. There are some particular precautionary measures/tips; you will need to follow according to the stage of pregnancy you are going through. Here’s what you need to be aware of when it comes to food habits during pregnancy: Complete Dietary Recommendation Guide for Pregnant Women First Trimester Take a small amount of food frequently: As the body changes, you will need to be careful to accommodate those changes to your body. Taking a small amount of food at a time will reduce a feeling of nausea and sickness that pregnant woman often feels at this stage. Take adequate Calcium: Increase the intake of calcium foods in your diet (dairy foods) as it encourages healthy bone development which is very important for your changing body. Second Trimester Increase Iron Intake: Iron is an essential component for the growth of red blood cells. Generally, women should take iron rich food throughout their pregnancy but it should be more during the second trimester as the baby is developing its own supply of red blood cells. Vitamin C intake: To absorb the excess Iron in your body, you will require eating Vitamic C rich foods like berries, kiwi, broccoli, and citrus fruits. Third Trimester Avoid acidic food: Heart burn is one of the symptoms you often feel during this stage as the baby gets bigger and puts pressure on the mother’s body. To reduce it, you might want to avoid the intake of acidic food in your diet. As an end note, remember it is not only until delivery that you need to follow a healthy diet, it’s equally, if not more, important as it was during your pregnancy. Your body needs to replenish post-partum and you also need to lactate well to feed your baby. Therefore, ensure that you continue your healthy diet even after the delivery.